I was kindly contacted by Iain from The Edge to review some of their products. 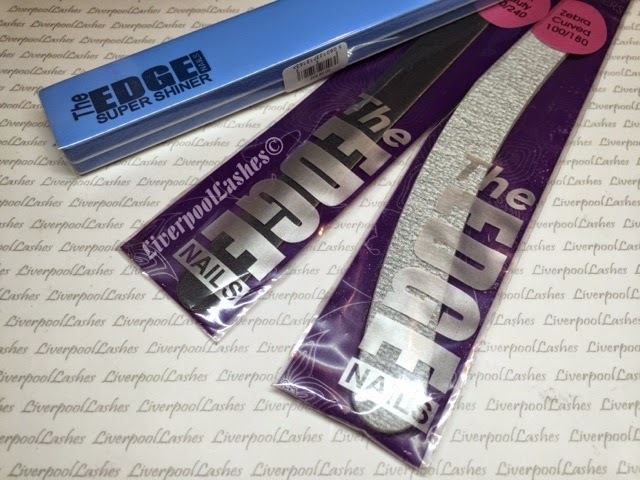 The Edge is a professional brand that I recognised the nail from my local beauty supply store. Although I am not too familiar with many of their products, I did however have their UV lamp for quite a few years which was fantastic. I was also interested to find out that although they are a professional brand, they do also stock items for general consumers who love their beauty products too. 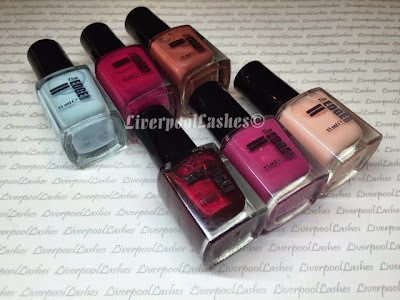 First up is their nail colours which I had a selection of to try. Without sounding too much like Goldilocks the brush is not too thin, nor too wide so it's really easy to control for even the smallest nail beds. The formula is smooth and went on evenly. I would say, however, that Serrano (the pale blue) needed slightly more attention to ensure an even coverage but in general the paler pastels from any brand seem to be pretty much the same in terms of the attention required. My favourite shades are Dubai which is a deep red wine colour and Bordeaux which is a dusty pink/mauve which shockingly I'm convinced is a colour that I don't already own, despite my nail polish collection being over the 250 bottles mark! 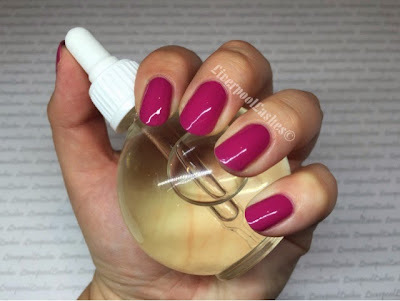 At 11ml a bottle, the price is fantastic without compromising on quality. If I was starting off as a new nail tech again or keen to add to my personal collection of nail colours then I would definitely recommend them. 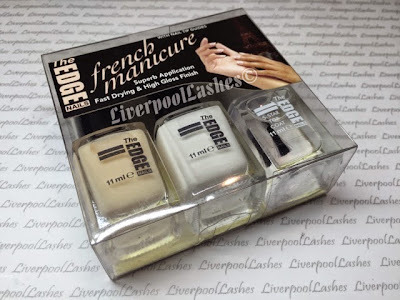 There is also a French Manicure set which contains everything you need for that classic finish. I think this would be a lovely set to purchase for a birthday present or even for mother day. Next up is their Super Shiner which I was pleasantly surprised with as it gave a high shine finish with minimum effort. I would actually say it was virtually exactly the same as the more expensive brand that I normally use. The same also goes for the Zebra Curved 100 grit file and Black Beauty 240 grit file which I found to be excellent quality. 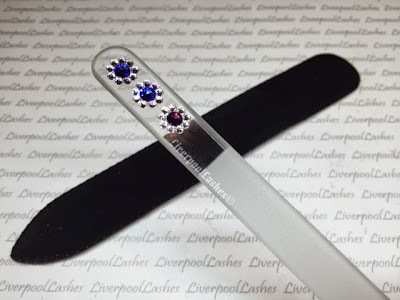 I also received one of their Swarovski Crystal Glass Files which was actually a new experience for me as I've never used one before but I was delighted at how gentle it was to my natural nails. The gorgeous crystals on it are really eye catching and pretty too. I think that they would be a brilliant retail product for salons or as a present for a loved one. 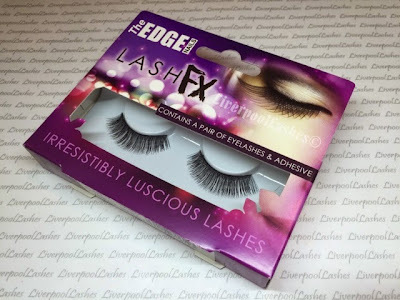 I must admit I giggled when I received the box and saw that they also did false lashes as I would consider myself at pretty much an expert level of lashes so I can give a good review on them. I received the 'Flutterbabe' style which are beautiful and full. They're easy to apply and to re-use which is fantastic. I must admit that I did think they would be slightly more inexpensive than they were, comparing to other beauty supply store brands but it is only a minor difference. The Edge are a 100% British brand, everything is all operated from the UK - their factory, warehouse and customer service team which I really like as I think it's good to support your own country. 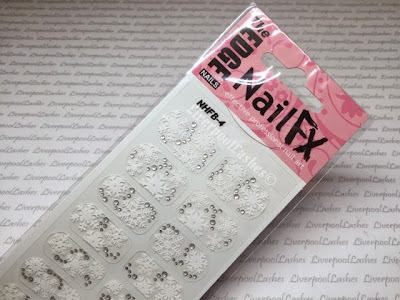 The lovely people at The Edge Nails & Beauty are offering a 20% discount for everyone who places their first order using the code WELCOMEOFFER at the checkout. 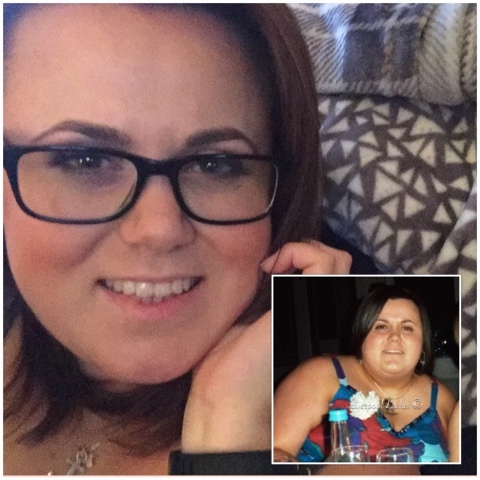 I hope that you've enjoyed reading this post and that you've found it interesting!